President Vladimir Putin will raise with African leaders this week the case of the Myre Seadiver and its 15-man Russian crew, who were arrested and imprisoned in Nigeria last October. The story so far. Putin will be in Durban, South Africa, on March 26 and 27. The Myre Seadiver crew have been accused by the Nigerian Navy of arms smuggling, charges the Russians say were fabricated by the Navy after a month of authorized portcall anchored in the harbour of Port Lagos. The Navy has de facto control of Nigerian coastal and maritime border enforcement, after blocking the establishment of an organizationally separate coast guard. A government attempt announced earlier this month to give the Nigerian police superior authority through a new maritime command covering ports, territorial waters and inland waterways, is expected to suffer the same fate. The Navy is dominant because “it is not a Navy,” explains a leading Nigerian maritime expert, “it is a business.” Naval officers, the source claims, control a handful of security companies which assign Nigerian Navy ratings to provide vessel security for visiting foreign cargo vessels; in these arrangements Navy officers take a commission. A larger and more lucrative business, the source claims, is in the hijacking to order of oil cargoes, which takes place in the so-called Togo Triangle, in the Gulf of Guinea, off the Nigerian and Benin coasts. Moran Security Group of Moscow, owner and operator of the Myre Seadiver, has been engaged by state tanker company Sovcomflot to provide anti-pirate security for Sovcomflot tankers plying the same waters. Moran says it obtained Nigerian Navy permits for their vessel to enter Lagos port on September 19, disclosing a small inventory of arms and ammunition for the Russian security men on board. Documentation dated before the vessel’s arrival by their Lagos agent, Blueseas Maritime Services Nigeria Ltd., show Nigeria’s Western Naval Command approved the port call with the arms on board, for a month before the arrest occurred on October 19. The Myre Seadiver had already cleared port authorization in the same fashion at ports of India, Mauritius, Madagascar, Kenya, Tanzania, Djibouti, Egypt, Yemen, Oman, United Arab Emirates, Kuwait, Bahrain, and Pakistan. Between the arrival of the Myre Seadiver at Lagos and the arrival of the Navy patrol to arrest the crew and ship on October 19, Russian representatives of Moran were invited to meet Navy officers at their Western Command office, where no problem of authorization was raised. On January 8, Lagos sources report the flag officer commanding at Western Command, Rear-Admiral AOA Ikioda, was replaced, and sent to a staff job at an inland think-tank. On February 18, a Lagos court released the crew on bail to the Russian Embassy; they are scheduled for trial on April 9. The vessel is being held on a $500,000 bond at a Nigerian Navy base. The lawyer for the Russians in Lagos is Chukwunweike Okafor. He says no charges were brought against the crew for almost four months while they were in prison. The evidence against them was referred to in court as having been collected by the local police. Chineye, according to the police, made a statement contradicting the communications with Moran, but this has not yet been tested. Chineye acknowledges he was the agent for Myre Seadiver, and insists he has testified to nothing in court. He refuses to say more. Last week, the International Maritime Organization (IMO), to which both Russia and Nigeria belong, announced that a new Code of Conduct the IMO helped draft with the governments of West Africa was endorsed by a ministerial meeting at Cotonou, Benin. The code is scheduled to be signed shortly by government heads at Yaounde, Cameroon. The focus of the Code, the IMO said in a release, is on piracy and armed robbery in the Gulf of Guinea. The second term is intended to refer to the Togo Triangle business. IMO Secretary-General Koji Sekimizu said: “We look forward to continuing to work with the countries to assist in the implementation of this new Code.” The new provisions help resolve ambiguities earlier IMO guidelines had identified in shore country regulations, vessel flag administration rules, and insurance guidance concerning arms carried on board vessels for protection against pirate attack at sea. Nigeria’s IMO representative in London, Ibrahim Olugbade, a merchant marine captain, acknowledges the new code, but on the question of Nigeria’s intention to sign it, he said he “cannot pre-empt what my minister intends.” He added he has not heard of the Myre Seadiver case. The international maritime insurer Lloyds of London supervises the vessel security rules and anti-piracy practices through its Joint War Committee (JWC). 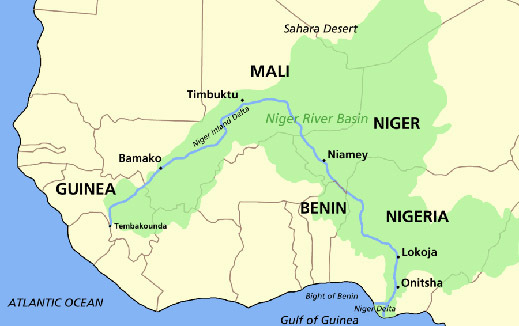 Indicating what little confidence the shipping community has in the Nigerian Navy to secure international shipping against attack, the JWC issued a circular on March 28, 2012, identifying Nigeria as a “listed area” of high security risk, particularly “the Gulf of Guinea, but only the waters of the Beninese and Nigerian Exclusive Economic Zones north of Latitude 3° N.” Negotiations are under way between representatives of the Lloyds JWC, Moran and Russian maritime policymakers to investigate the conduct of the Nigerian Navy in the Myre Seadiver case, and issue new guidance to maritime insurers. The Nigerian Navy and its representatives in London and Moscow have refused to respond to questions about the case.